I was going to a tomato basil chicken posted by Be Free for Me, but then I thought I would try to be creative and just kind of wing it. I am glad I did! Warm up some oil in a frying pan and put 1 garlic clove in, saute for a second then place some of the chicken in. Cook until golden brown and cooked all the way through, remove, add the other garlic clove and more chicken- (cook in batches). When done place the chicken on a platter and cover to keep warm. Add the cherry tomatoes and saute until tender. Add the wine and cook until the liquid is cut in half (about 4 minutes). Add the cooking cream (this you can add as much or as little to your taste. I used the entire tub) and cook until well mixed. Serve with noodles (we use Quinoa brand). Another serving suggestion is to skip the cooking cream and substitute some fresh basil leaves. 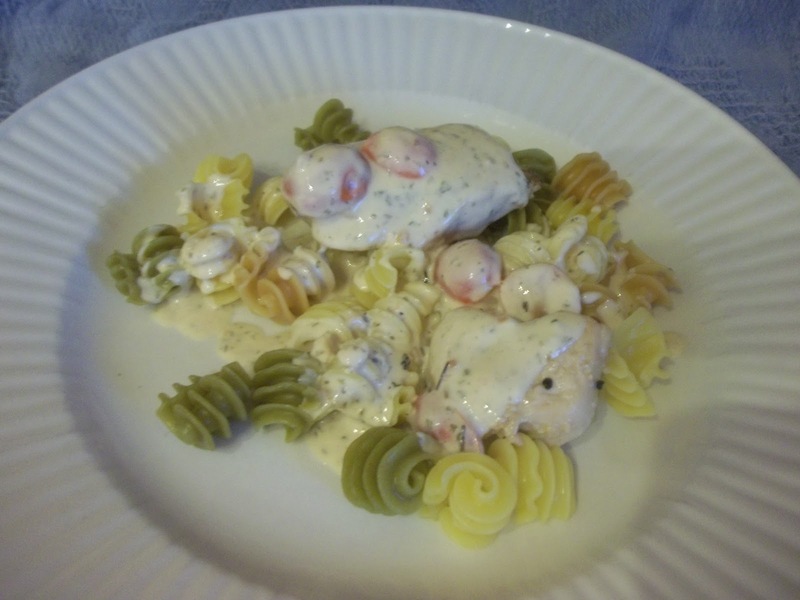 This entry was posted in Allergy Free Wednesday, Chicken, Recipes, Slightly Indulgent Tuesday on January 20, 2012 by Kandi. Thank you for sharing your on AFW! Be sure to check back next week for reader favorites and hostess picks.